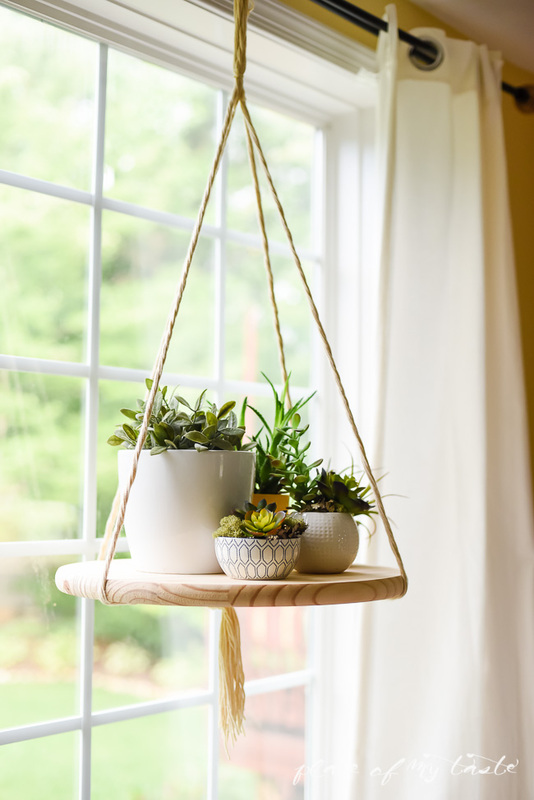 Floating shelves are very popular because they are airy and don’t make your space look bulky. 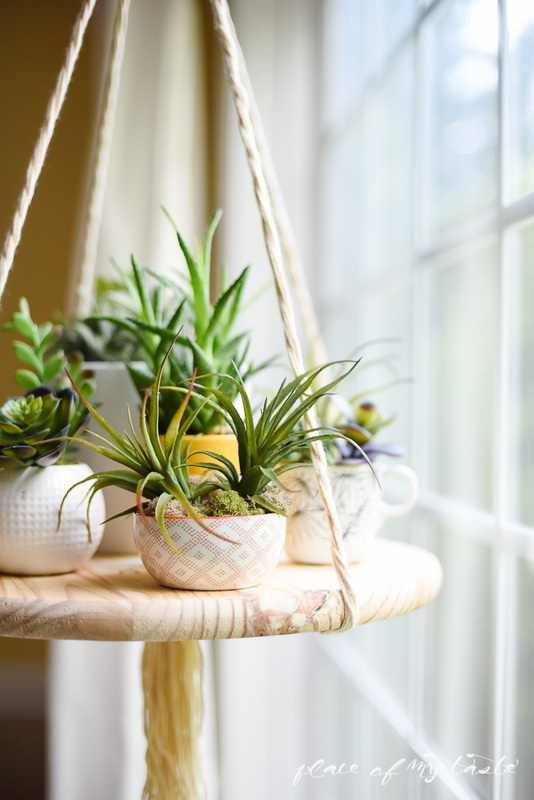 They are cool for any kind of spaces: kitchens, pantries, bathrooms, bedrooms, closets and living rooms. Open shelving is a cool and practical way to store your things while displaying them at their best. You can also make a thick shelf with some secret storage space inside to hide your treasures. They may be corner ones, tight ones for accentuating some pics, you may use them for stairs decor and for an entryway. 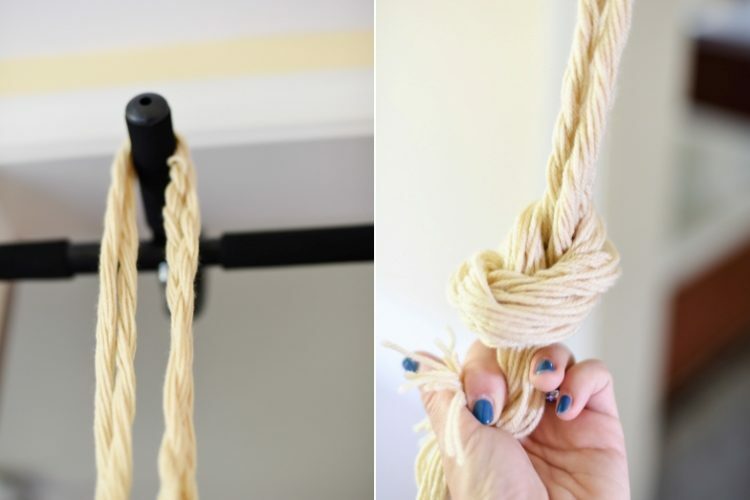 Most of the are usually attached to the walls to make them stable but today I’d like to share a tutorial from placeofmytaste.com, and it’s about a hanging floating shelf. 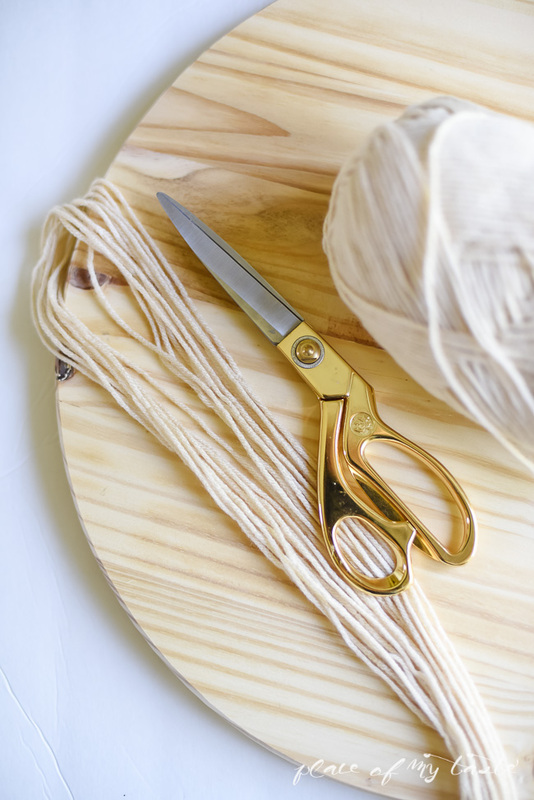 You’ll need a round wooden plate, scissors, yarn. Cut about 50, 3.5 yards pieces of yarn. Tie a knot in them middle. It’s going to be the centerpiece of the hanger. 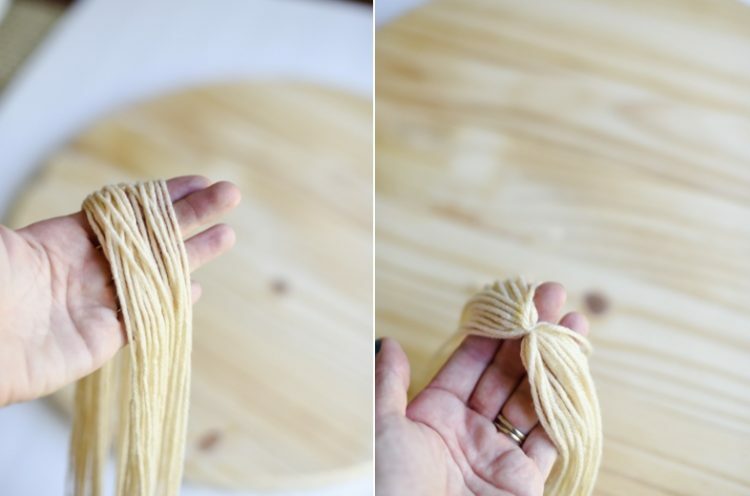 Divide your yarn into four equal sections. Then divide each part into two sections and twist it together. 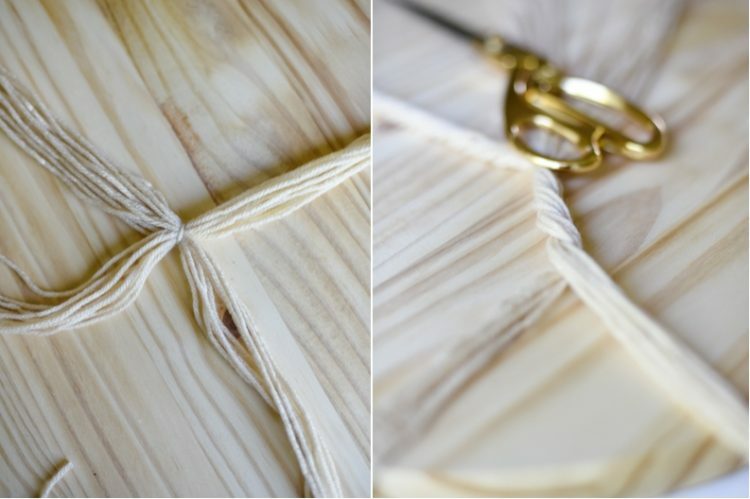 You can also separate your sections to three and braid the pieces together. Hang your piece somewhere high. Tie a knot around 4 inches below the top. As a last step tie a knot at the bottom. Slip on your wooden plate.